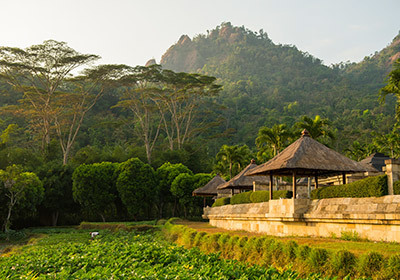 When you stay at either Amanjiwo or Amanwana and an Aman resort in Bali for a combined total of seven nights, you’ll enjoy breakfast for two daily; airport transfers and inter-resort transfers; and one activity per resort – choose from massage, trekking, biking, a cultural experience, a visit to a local market, diving, private tennis and more. Connect with our Virtuoso travel advisor for rates. Available until March 31, 2017. Linger a little longer in Thailand, with more days to savor, and more nights to remember. The longer your stay, the more you save – up to 30% on your accommodation, including breakfast daily. Anantara Mai Khao Phuket Villas and Anantara Layan Phuket Resort both offer exclusive Virtuoso amenities, including a $100 resort credit. Connect with our Virtuoso travel advisor for rates. Available until September 30, 2016; book by July 31, 2016. 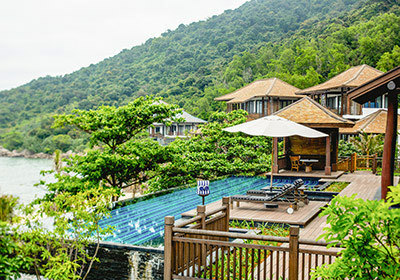 Experience the first-class grandeur of the Club Penthouse and Villa collection atInterContinental Danang Sun Peninsula Resort – where lavish indoor and outdoor spaces are combined with luxuriously furnished interiors and views of the sparkling East Sea. Your amenities include a room upgrade, if available; breakfast daily; a $100 dining credit; and more. Connect with our Virtuoso travel advisor for rates. Available until December 31, 2016.